August 8: They dimmed the lights on Broadway; this time for a singular sensation. The Broadway and film communities were stunned to learn on Monday of the unexpected passing of Marvin Hamlisch. He was a giant in his field and one of the most prolific and beloved contemporary composers and arrangers. He collapsed and died early Monday at 68, after a brief, unspecified illness. A New York native and resident, he is survived by his wife Terre. Marvin Hamlisch was associated with so many iconic musical theatre, film and pop musical works and performers and was a highly respected, multi-award wining figure in the entertainment industry for decades. Perhaps best known for his work on the legendary musical A Chorus Line and the movies: The Way We Were and The Sting, Hamlisch also wrote the scores for celebrated films such as Ordinary People, Sophie's Choice and Take the Money and Run. He also contributed to the James Bond hit The Spy Who Loved Me, co-writing the seductive Nobody Does It Better with Carole Bayer Sager. The song reached No. 2 on the international pop charts recorded by Carly Simon. A Pulitzer Prize-winning composer, Mr. Hamlisch infused all his movie and Broadway scores and songs with a generous dose of commercial appeal, razzle-dazzle and catchy melodies. He often found his unlikely songs wound up at the top of the pop charts, like the theme from the movie, “Ice Castles” (Through the Eyes of Love.”) There were several years, beginning in 1973, where Mr. Hamlisch practically spent as much time receiving awards for his compositions as he did writing them. He is one of a handful of artists to win every major creative prize, some of them numerous times, including an Oscar for “The Way We Were” (1973,) shared with the lyricists Marilyn and Alan Bergman), a Grammy as best new artist (1974), a Tony Award and a Pulitzer Prize for the beloved musical “A Chorus Line” (1975,) shared with the late lyricist Edward Kleban, the late director Michael Bennett and book writers James Kirkwood Jr. and Nicholas Dante). Collectively, he won three Oscars, four Emmys and four Grammys. His habitation on awards and talk shows made him one of the last in a line of celebrated composers that included Henry Mancini, Burt Bacharach and Stephen Sondheim. The gawky stance and signature glasses gave him a dorky look that he poked fun at. To some, he appeared to be the stereotypical music school student. Ironically, at 7, he was the youngest student to be accepted to the Juilliard School at the time. Quickly, his demeanor belied his intelligence and sharp adeptness to converse loosely and very well with talk show hosts like Johnny Carson, Mike Douglas and Merv Griffin. Musically, his melodies were grounded and sometimes progressively rhythmic as in the infectious “One,” from “A Chorus Line,” with strong, throbbing lines that defined the essence of a Broadway showstopper. Mr. Hamlisch was often associated with Barbra Streisand. This began when he was only 19 years old and became a rehearsal pianist for her incoming show, “Funny Girl.” In 1976, he told Current Biography that Streisand was reluctant to record what became the pair’s greatest collaboration, “The Way We Were,” the familiar theme from the 1973 movie of the same name in which Streisand starred with Robert Redford. Initially, she preferred the first version of the song that he composed prior to the shooting of the film. “I had to beg her to sing it,” he said. “She thought it was too simple.” Mr. Hamlisch won the argument and the song became a Number 1 pop single, an Oscar winner and remains a signature song for Ms. Streisand. They continued to work together; Mr. Hamlisch was musical director for her successful 1994 tour. He later received an Emmy award for his work. Yet for all Mr. Hamlisch’s pop success, along with Carol Bayer Sager he also wrote a No. 1 Soul hit for Aretha Franklin, “Break It to Me Gently.” However, his first love remained writing for theater and the movies. His brilliant score for “The Sting,” which adapted the infectious ragtime tunes of Scott Joplin, made him a household name in 1973. Despite such acclaim, he often said he thought his background scores were under-appreciated. He said he would love for an audience to “see a movie just once without the music” to appreciate how the experience changed. He wrote more than 40 movie scores in his life. Marvin Frederick Hamlisch was born June 2, 1944, in New York . His father, Max, was an accordionist, and at age 5 Mr. Hamlisch was recreating tunes on the piano; songs he heard on the radio. Juilliard soon followed. According to his wife, Terre Blair, he was then being groomed as “the next Horowitz,” but when all the doors were closed and he was alone, he would play show tunes. He performed at scattered concerts and recitals as a teenager and at venues such as Town Hall and other Manhattan auditoriums. Ultimately, he gave up thoughts about becoming a solo performer. He is quoted as saying, “Before every recital, I would violently throw up, lose weight, the veins on my hands would stand out.” He moved on. .
With his move to Los Angeles, his successes exploded. But he proudly remained a New Yorker through and through returning often and maintaining close ties to professional and personal friends always. After “A Chorus Line,” Mr. Hamlisch scored another Broadway hit, “They’re Playing Our Song,” based on his relationship with Ms. Bayer Sager (who wrote the lyrics,) in 1979. It ran for 1,082 performances. After that, the incredible accolades slowed down a bit but the work didn’t. He collaborated with various lyricists on subsequent musicals, including “Jean Seberg” (1983), which was staged in London but didn't make it to Broadway, and “Smile” (1986), which played Broadway for a very brief run. His most steady work continued to come from the movies. He wrote background scores for “Ordinary People,” “Sophie’s Choice” and, most recently, “The Informant.” His later theater scores included “The Goodbye Girl” (1993), “Sweet Smell of Success” (2002) and “Imaginary Friends” (2002). He had also completed the scores for an HBO movie based on the life of Liberace, “Behind the Candelabra,” and, more recently, for a musical based on the Jerry Lewis film “The Nutty Professor,” which opened in Nashville last month. At the time of his passing, he was also working on other musical scores. According to his official Web site, Mr. Hamlisch held the title of Pops conductor for the Pittsburgh Symphony Orchestra, the Milwaukee Symphony Orchestra, the Dallas Symphony Orchestra and others. In more recent years, Mr. Hamlisch became an ambassador for music, traveling the country and performing and giving talks at schools. He often criticized the cuts in arts education. While Mr. Hamlisch's soaring, unabashedly sentimental or schmaltzy style didn't always earn him rave reviews from elitist critics, he was quite content with the wide “people appeal” that so much of his music retained over decades. Babra Streisand said on her website post: "He was a true musical genius, but above all that, he was a beautiful human being. I will truly miss him." 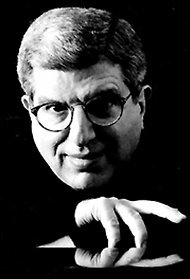 Marvin Hamlisch: "I don't think there's anything wrong with doing a very wondrous, fabulous, commercial show," he told Broadwayworld.com in a 2010 interview. He proudly said, "There's nothing wrong with the word 'commercial.' "